According to the North Carolina Office of State and Budget Management, as of 2012 there are over 3.5 million people in North Carolina between the ages of 18-44. In 20 years, approximately half will be close to retirement age. Individuals miss out on retirement strategies, asset protection, and long-term care options when estate planning is left until later in life. 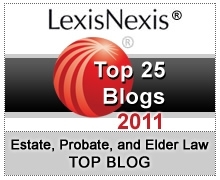 What estate planning steps can these individuals take now to prepare for their respective futures? Engagements and cohabitation. More couples are living together for a significant time before getting married, or cohabitate with no intentions of marriage. Without advance directives and powers of attorney, couples will not be able to make important healthcare decisions on their partner’s behalf in the event their loved one becomes incapacitated. If marriage is pending, prenuptial agreements can help protect assets. In order to be valid, prenuptial agreements must meet the requirements of the North Carolina Premarital Agreement Act. A lawyer can ensure these documents are prepared accurately. Marriage. Couples open life insurance policies in order to cover their partner and/or their family’s life expenses in the event one partner passes away before the other. Life insurance premiums increase as life expectancy decreases, so purchasing a policy when you are younger may offer greater savings. Growing families. Nomination a guardian in your Will helps ensure your children will have someone to care for them and instill your religious and personal values. A lawyer can ensure that your estate plan includes provisions to address current and future children. Alternatively, families may be growing under one roof when relatives move in. More Americans today are part of the “Sandwich Generation” and are juggling the costs of caring for children as well as aging parents or relatives. Estate planning attorneys can help structure assets effectively so that children’s college savings and your retirement are not compromised by a relative’s living expenses and healthcare costs. Special needs. Whether you or your partner experience a disability or your child is born with special needs, ask an estate planning attorney about special needs trusts that can provide for your loved one in the event you or your family are not able to care for them. Long-term care. According to the Federal Long Term Care Insurance Program, the average annual cost of a nursing home in North Carolina’s Raleigh area is over $64,000. Along with a certified financial planner, a North Carolina elder law attorney can review and recommend various retirement and long-term care savings and insurance options available to help fund anticipated care costs.